A bridge is one or more artificial teeth that are cemented into place using the real teeth on either side for support--hence the name. Bridges are often a good choice for filling the space created by a missing tooth. A bridge replaces the missing tooth both functionally and cosmetically. Bridges can be made out of gold alloys, porcelain bonded to metal alloy, or all-ceramic material made to match your natural tooth color. 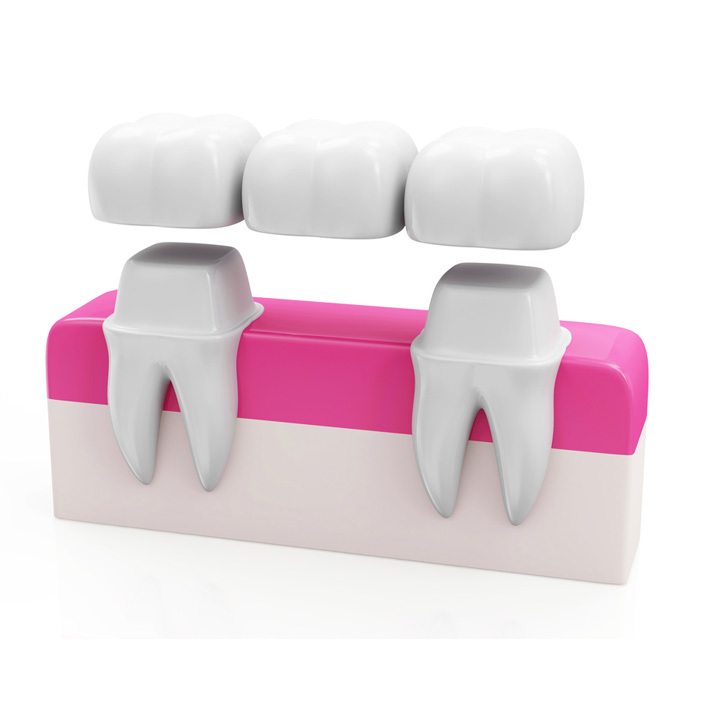 The choice of material depends on bridge's requirements for strength, wear, and/or esthetics.